These modern all-in-one pusher arms are easy to use, and don't require any assembly or disassembly. 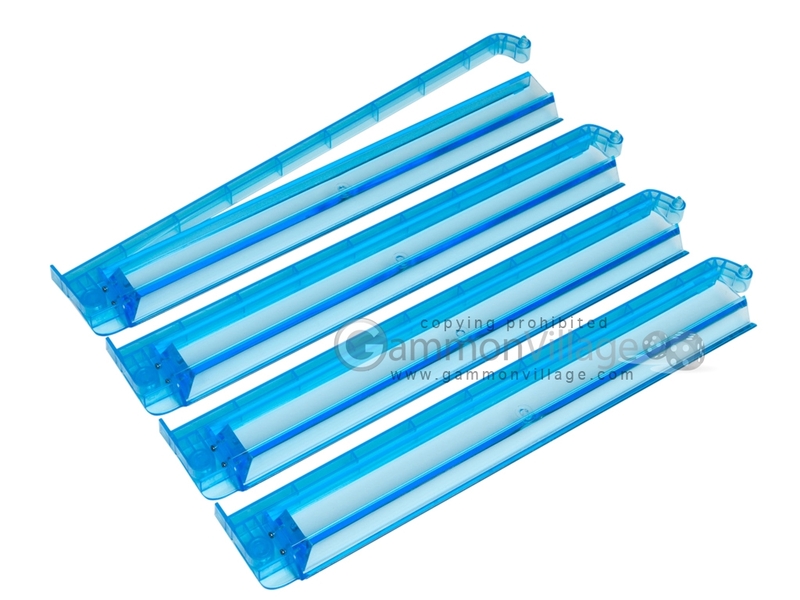 This matching set of 4 modern pushers is available in an attractive clear blue color scheme. Page P5155 Copyright © 1999-2019 GammonVillage Inc., USA. All rights reserved.